Quintessential Equity is proud to have been named 2018 Property Fund of the Year in recognition of factors including financial performance, professionalism, ethics, teamwork and sustainability. “This submission clearly demonstrated the significant influence Quintessential Equity has had on the Canberra property market. They (Quintessential Equity) made social contributions to benefit small businesses in the local community as well as educating government tenants on critical elements throughout the process,” the judges said. The winning entry at the RICS Oceania Awards was also supported by testimonials from a range of partners – financial advisors, tenants, commercial property agents and builders. 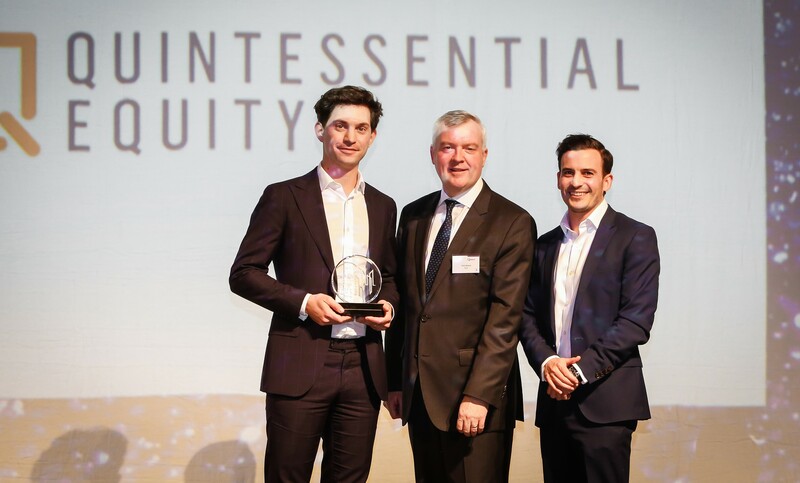 The prestigious award was presented at a gala dinner in Melbourne last Thursday night, and accepted by General Manager – Asset Management, Noah Warren and Development Manager, Simon Knobel, on behalf of the Quintessential Equity team. The Chief Operating Officer of Quintessential Equity, Russell Bullen, congratulated the entire team on the success based on the combination of social, environmental and financial outcomes. “We’re rightly proud of our financial performance, however what makes this award even more special is that it recognises that our contribution goes far beyond dollars and cents. I’d like to congratulate all concerned,” he said. Quintessential Equity was also a finalist in a second RICS award, 2018 Sustainability Project of the Year for a building recently completed at 1 Malop Street, Geelong – the new headquarters for WorkSafe. To read about the other winners, visit the RICS website.